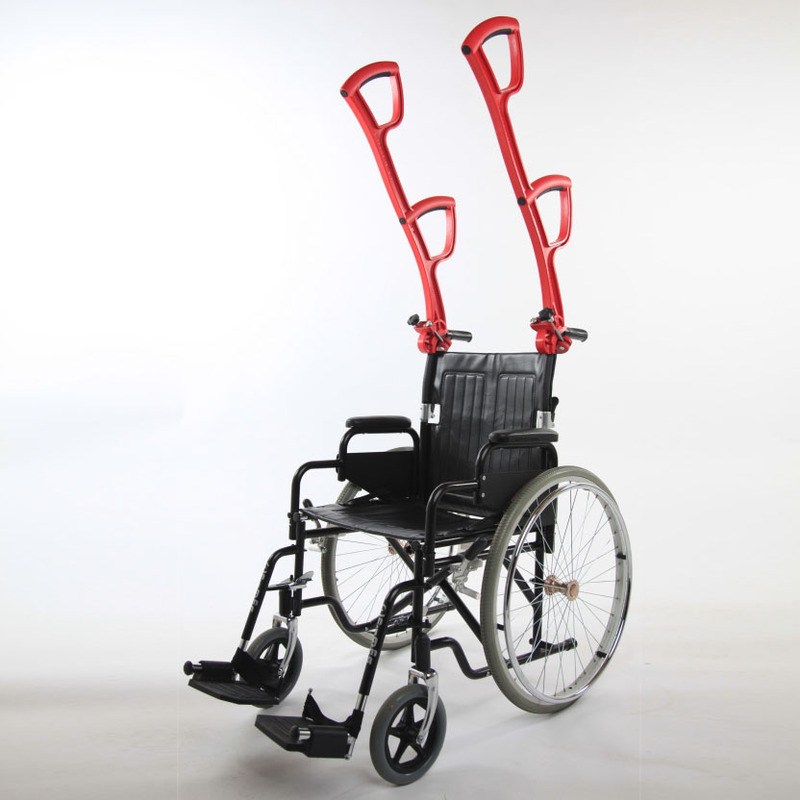 Discover the revolutionary new products making wheelchair evacuation easier and safer for wheelchair users and operators. A portable evacuation device that can be carried with you and facilitates safe evacuation in most modern buildings. Every business has a legal obligation to be able to evacuate all people on the premise to a place of safety, including wheelchair users. 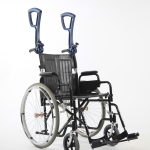 The Wheelchair Evacuator and Evacuator Compact are a simple but effective alternative to an evac-chair. 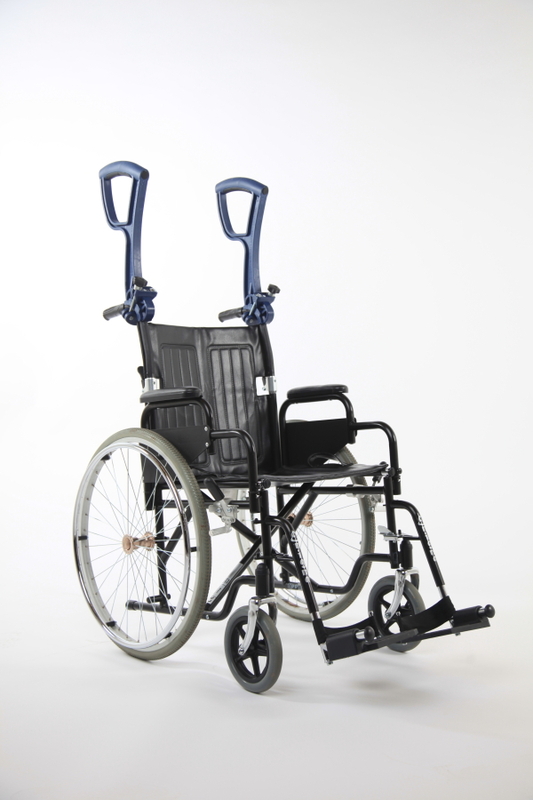 A set of handles that quickly and easily attach to most manual wheelchairs, enabling safe evacuation of wheelchair users in an emergency. 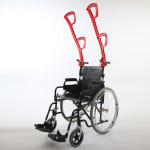 The Evacuator Compact (formerly 'The Liberator') is suitable for use in most modern buildings, as well as outside in areas of rough terrain that would otherwise be impassable for a most wheelchair users. The Evacuator Compact is designed to be able to be kept with the wheelchair user at all times to allow trained individuals to undertake an instant evacuation. The bag in which the Evacuator Compact is contained has two handles which fit over the handles of the wheelchair when in use. The carry bag itself sits secure on the back of the wheelchair. It is ideally suited to modern buildings where the height of each step is smaller than in older buildings, meaning the reach of the handles does not need to be as long for the device to function. 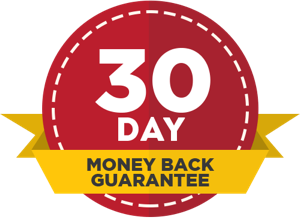 It is very relevant for members of staff who are wheelchair users. as it ensures that no matter where they are in the building they will always have the tools to enable them to be evacuated.